We are throwing our hats in the air with excitement for this major Trophy win! We have had an amazing year and this last major win of the prestigious Winestate Magazine’s Category Wine of the Year Award for our 2015 Leave Your Hat on Montepulciano gives us a total of 8 Trophies this year. We are humbled and thrilled and the alternatives that have been our passion and raison d"etre are coming into their own. “Leave Your Hat On" Montepulciano 2015 has also has won two other Trophies this year, Best Vintage Section Dry Red and Best Dry Red of show at the 2016 Clare Valley Wine Show where we won a staggering 6 Trophies. The wine is medium bodied, aromatic and textural. It is bursting with flavours of dark cherries, plums and berries. Subtle spicy undertones with splashes of herbs lead to good length with savoury tannins. A triple Trophy wine makes a great Christmas gift at $45 - order through our cellar door or click here to our website. We are celebrating! 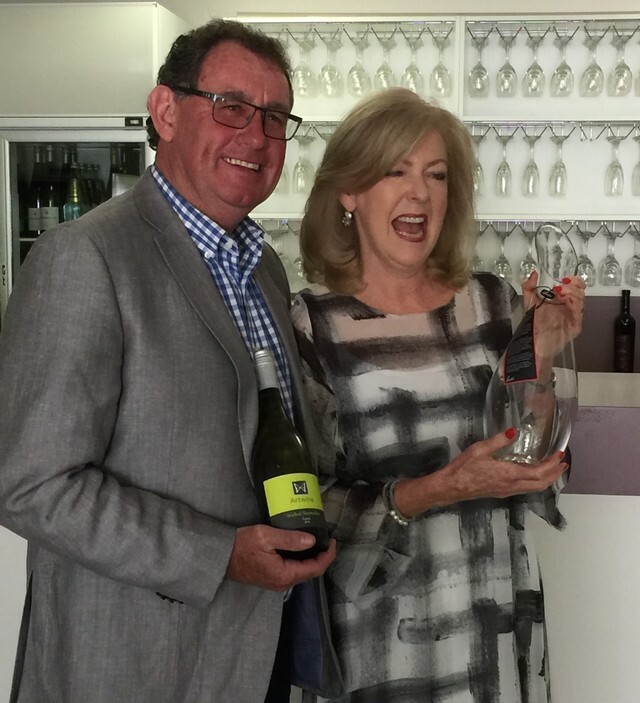 Last Friday 28th October we were awarded a staggering SIX Trophies at the Clare Valley Wine Show. With vineyards both in the Clare Valley where we started our alternative wine journey, we also have a vineyard in the Adelaide Hills on which our architecturally designed Cellar Door sits. We won five Gold Medals for Riesling, Fiano, Rose, Montepulciano and Shiraz that evolved into SIX TROPHIES. It was the most amazing day of our lives. It is more than we could have dreamed of, yet we have always strived for. To win these awards for alternative varieties which is our passion and focus is phenomenal, particularly in the traditional varietal stronghold of the Clare Valley. This is a major win for us but also it proves that alternative varieties as we believe are the future. The alternative varieties Artwine produce are Prosecco, Fiano, Viognier, Pinot Gris, Tempranillo, Graciano. Montepulciano, Cabernet Franc, Gruner Veltliner and just planted Albarino. Traditional varieties are Pinot Noir, Merlot, Shiraz, Cabernet Sauvignon and Riesling. We are also the first Adelaide Hills Cellar Door to release an estate grown Prosecco and have just also won Gold for our Gruner Veltliner. We are the first Cellar Door in the Adelaide Hills to produce an estate grown Prosecco from our Woodside vineyard. With origins in Northern Italy this sparkling variety has overtaken global sales of Champagne. A delicious light easy drinking style of sparkling for any time of the day. Floral and fruit on the nose continuing through to a delicious palate. It will have you wanting more. The perect drop for summer and all the upcoming festivities. $25 at cellar door and online. We are thrilled to have won the best Sparkling Wine Trophy at the Australia & New Zealand Boutique Wine Awards for our delicious COCO Sparkling NV named after our beloved Cellar Door dog. This Adelaide Hills Pinot Noir sparkling is tinged with copper hues and has a delightful nose of strawberries and peaches. These characters are displayed with elegance and finesse on the palate and are heightened by balanced acidity and a creamy mouth feel. 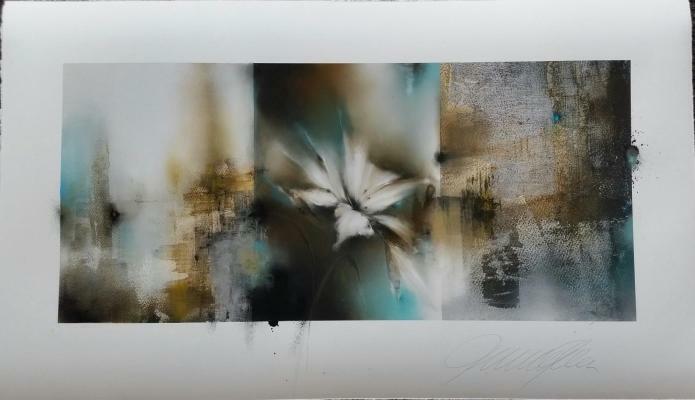 Jen is a Multi-Award WInning artist, she specialises in creating alluring modern artwork. Self taught , her gentle, radiant, distinctly unique trademark style enjoys a loyal and enthusiastic following around the globe. Based at her Mintaro studio in the magnificent South Australian wine district of the Clare Valley, she is constantly creating new works. Judy & Glen Kelly built their idea for boutique winery ArtWine around their love of artworks in tandem with thier bold new vineyard plantings in Clare and the Adelaide Hills. Now their full vision comes to fruition with the opening of the ArtWine Cellar Door complex at 72 Bird-in-Hand Rd, Woodside. The high-gabled architecturally designed pavilion combines a spacious tasting room with an art gallery. Importantly their wines match the quality of the cellar door fit out - especially emerging varieties from Spain and Italy, which have won ArtWine significant trophies at leading wine shows.